Mr. Edkins is both an Associate and Principal of Financial Management Resources. Steve has over 30 years experience in the financial services and business consulting areas. He works to help individuals and business owners better understand how to manage complex financial issues through the use of carefully developed planning solutions. On an individual basis, Steve works with clients to better understand their current situation and define personal financial goals and planning objectives. He then develops plans to help clients attain those goals in areas including investment planning and asset allocation, portfolio management, estate and survivor income planning, disability income, and long term care planning. For business owners, Steve focuses on employee benefits and retirement plans as well as business succession planning, deferred compensation, and key employee plans. In addition, the full range of individual services is also available to business owners and their employees. 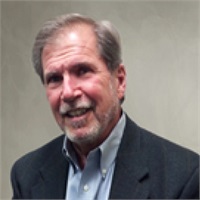 Steve is a graduate of The Ohio State University and has received the Chartered Financial Consultant® (ChFC®) and Chartered Life Underwriter® (CLU®) professional designations from The American College. He is a member of the National and Cleveland Associations of Insurance and Financial Advisors (NAIFA) as well as the Society of Financial Service Professionals (SFSP), where he has served in leadership roles over the years. He is licensed to sell life and health insurance as well as annuities in several states including the State of Ohio and is a Registered Representative (Series 7) and Investment Adviser Representative through Cetera Advisor Networks LLC, a registered broker/dealer, and a registered investment adviser. He is also an Investment Adviser Representative of Financial Management Strategies, Inc., a registered investment adviser.